Rules Of Engagement originally uploaded by Lightblb. The subject has come up multiple times in the past few weeks, and each time I realize that there's still quite a lot to teach about the rules of engagement for social media marketing. You see, they differ from those we are used to in traditional marketing. Take the notion of how to address others in conversation. Traditional marketing tends to shout, interrupt and force distinct notions on others. 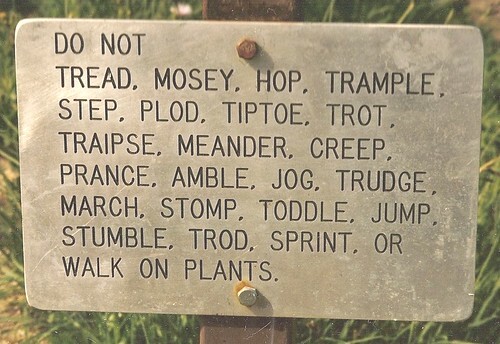 It doesn't listen very well - if at all - and certainly doesn't welcome other perspectives. Remember The Break Up? Not very social. Traditional marketing is comfortable hiding behind a corporate wall, speaking in the third person and anonymously. Social media marketing isn't; it prefers to speak in the first person, identifying who's talking and possibly even divulging a few human foibles that indicate accessibility and human-ness. It wants a dialogue, interaction and genuine interaction. It's all part 'n parcel of being authentic, not pretending to be someone you're not, being transparent and open about associations, affiliations and possible conflicts of interest, and generally wanting to engage in conversation around a product, brand, service, subject matter that you feel really strongly about. What I like about these rules of engagement is that they truly engage - both the content creator and the content consumer. They provide that element of realness and human-ness that enables someone who knows nothing about you to express curiosity and interest and then possibly start a relationship. How powerful! How engaging, and how grounding, too. You know what to expect and can react accordingly. Rules of engagement also affect your own internal organization. They set the stage for employees to interact in this newly public and social environment so they generate positive momentum for the brand, product, service rather than real or perceived trouble. The best guidelines I have come across are those created by SHIFT Communications in PR Squared's post titled Corporate Social Media Policy: Top 10 Guidelines in a document listing the Top 10 Guidelines for Social Media Participation at a Company. Read it, internalize it and then consider how to apply it to your company. Other points of reference, based on Understanding Social Media Guidelines for Employees, are IBM and Intel. What do you think of social media marketing's rules of engagement? Do they make sense? Do you see how they can benefit your business? What would you change? On June 1, 2008, we launched the redesigned, social-media friendly and dynamic Wear-Dated website. This case study explores the steps taken. Our previous website hadn't been updated in three years. Because it was primarily flash based, we could neither update content nor our retailer database without expending significant resources. Furthermore, navigation was difficult and unintuitive; using the website to support activities in the marketplace wasn't possible; and the site had little organic visibility, depending heavily on PPC [Pay Per Click] campaigns. We needed to update the website to reflect our new By The Foot marketing campaign and direct consumers to retailers selling carpet made with Wear-Dated carpet fiber. In January 2007, I attended Future Now's Online Copywriting seminar led by Holly Buchanan [during which I met Bryan Eisenberg, co-author of Waiting for Your Cat to Bark? 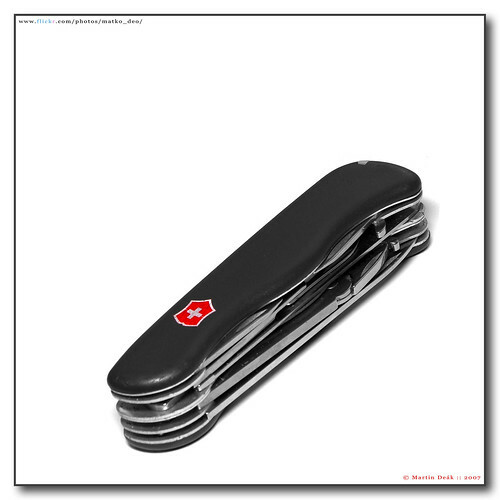 : Persuading Customers When They Ignore Marketing ]. The session included a review of our existing website which had me considering how to improve on it and make it more visitor friendly in tone, content and navigation. It also had me appreciating how a social media platform would improve organic search results. I realized that our brand would benefit from a different digital strategy than the one we were considering. Based on that website review, I further analyzed our site, proposing a more dynamic website approach for the redesign, and volunteered to be part of the website redesign team. I envisioned a site more consumer friendly in its tone and approach, with content that truly demystified and simplified the carpet purchase process, an administrative interface that allowed frequent updates of content and data, and a blog platform for dynamic content about our brand, new carpet products and carpet retailer-specific consumer promotions. 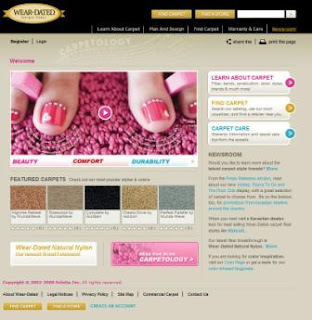 The goal was a website that engaged consumers searching for carpet related information and connected them to Wear-Dated carpet styles available at specific carpet retailers that they could then purchase. The website should also offer robust carpet care content and resources. Furthermore, we supported retailer promotional activities by featuring their carpet sales events in our Newsroom with appropriate keywords and tags, and carpet mills by featuring specific carpet styles made with Wear-Dated carpet fiber on the home page and search page on a rotating basis. We could also offer coupons and run contests. Interestingly, our dynamic website concept led us to build the site on a DotNetNuke platform with flexible modules rather than building a static rigid framework from scratch. For a comparable cost, we obtained far more flexibility of design and administration, with a strong social media friendly framework with a bloglike newsroom, that better enabled us to promote carpet mill products and carpet retailers and provide generally offer more value to all within our community. Here is the Sell Sheet developed for the Wear-Dated website. Finally, we were able to make the Wear-Dated brand more visible and relevant to consumers learning about carpet, shopping for carpet or wanting to know more about caring for their carpet. A Wear-Dated Website Conversation With Integrity's John Simanowitz: Part I described what makes the new website different from the previous one, and why those differences matter. A Wear-Dated Website Conversation With John Simanowitz - Part 2: Part II focuses on the social web, the benefit it represents for corporations and the importance of online social functionality. In The Market For Carpet? We'd Like To Help. Many thanks to Damien Patton and my friends at FindAnyFloor.com for so graciously inviting me to share my story. 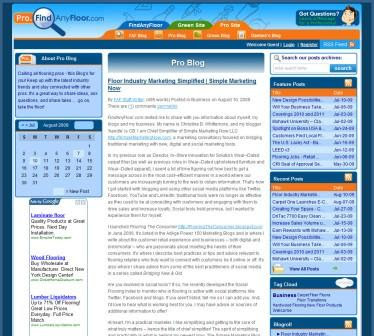 The result is this post titled Floor Industry Marketing Simplified | Simple Marketing Now. In it, I share information about myself, my blogs and my business. I discuss how I first became involved in social media marketing and the 2006 launch of Flooring The Consumer. If you aren't familiar with Flooring The Consumer, it's where I write about the customer retail experience and businesses who are passionate about meeting the needs of their consumers. In addition to sharing best practices or tips and advice relevant to retailers who truly want to connect with customers, I also include advice from some of the best practitioners of social media for connecting with customers in a series called Bridging New & Old. Finally, I explain how I became a 'simplifier' with Simple Marketing Now and the Simple Marketing Blog, filled with articles describing social media tools, how to integrate them into your marketing strategy, practical marketing examples and other resources that highlight practical marketing and the spirit of simple. I hope you'll read the article and let me know if you have burning questions and issues that you feel require simplifying. 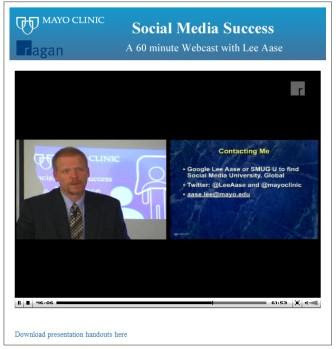 Back on Bastille Day 2009, I got to share Practical Social Media Knowledge with a room full of savvy professionals. Inevitably, during these type presentations I am challenged with tough questions about social media and its worth -- all questions I love as they allow me to tell my story and demonstrate the value that these new and digital tools have to offer. I get to literally bridge from traditional approaches to new ones, and create meaning based on attendees' practical observations and insightful questions. I also get to to learn from my audience. Can you tell that I love these sessions? In this case, participants came specifically to learn more about social media and how to use digital social tools to rebrand themselves and research companies, brands and market segments of interest. My goal was to demystify and simplify using a practical approach so that - even if no one in the room decided to take say the blogging plunge - everyone would feel comfortable exploring, experimenting and appreciating how the various tools can help in the marketplace. + to determine whether social media is useful or not and here to stay or not? Based on the feedback forms, everyone seemed to have left the session with a sound overview of what social media can offer and a few action items. Needless to say, I was thrilled to pieces and rather surprised when the 1:30 hour session [which turned into 2 hours] was over. In case you find yourself in a similar situation, I share with you the resources we discussed as well as links for further exploration. If you have any additional questions, or see something missing, please do let me know! On how people have used social media to market themselves successfully, I suggest reading Dan Schawbel’s Personal Branding Blog. In the ‘about’ section, you’ll notice many resources listed. Although he approaches personal branding from the perspective of a millennial, Dan offers excellent and practical advice. Many personal thanks to Marian for making this session possible, and many thanks to all of the session participants who made this such an interactive session. I had a blast! Ask any social media practitioner how to get started and "Listen" is what each will tell you. By listening, you begin to 'hear' what's going on, what's being said and how it's being said. That, then, enables you to take part in a conversation and identify how to offer value. A social media listening tool that has been front and center lately is Twitter. Take this WSJ online article titled "For Companies, a Tweet in Time Can Avert PR Mess" with examples from Ford, Coke, Pepsi and Southwest Airlines. Now, a dose of reality doesn't hurt at this point. Despite the hype, the entire world isn't on Twitter. In fact, many of your core customers may not even have heard about it let alone issued a Tweet of any significance. 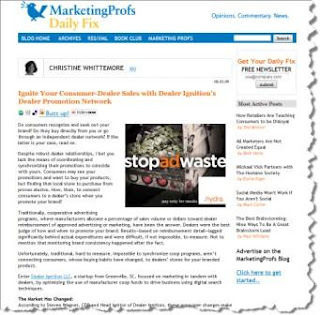 That's a point that Diane Hessan, CEO of Communispace, makes in this AdAge article titled "Using Social Media To Listen To Customers" [registration required]. However, learning how to listen to customers is critical, and social media platforms like Twitter make listening much easier than standing around crowds trying to absorb the messages being exchanged. Twitter represents a listening post, one that might offer unexpected and valuable insight. And one that teaches you how to listen across other social media platforms. As Ms. Hessan states: "Listening doesn't mean getting one small piece of data and taking action.... Sometimes it means getting a piece of data and probing further." Be sure to read the full post to understand the nuances and opportunities. Now that you've been cautioned and guided, inspire yourself with Diva Marketing's post about Before There Was Social Media There Were Customer Service Reps and then explore the companies listed in Kevin O'Keefe's Real Lawyers Have Blogs and his post about Major companies who use Twitter for customer service. And, as it relates to listening to customers, you might enjoy Read 16 Social Media Tips Relating To Listening. What other methods have you used to listen to customers?